← How do I pay the Title Company at Closing? Home Equity Line of Credit, Think Twice! It amazes me how many people have a home equity line of credit (HELOC) on their primary residence. What’s even more amazing is of those people, how many have one with a zero balance. What is a home equity line of credit? It simply could be viewed as a credit card that is secured by the consumer’s home. So if a consumer has a zero balance, why is that so bad? Well, here is the dirty little secret that the bank doesn’t tell the consumer when they are giving them a HELOC. Some banks choose to push HELOC’s on the mortgages they sell even if the consumer doesn’t want one. They simply state that the consumer doesn’t have to use it, and it’s a way to get a better interest rate or more favorable products. Here is what they aren’t telling the consumer. The fact is that a HELOC is a second lien on the consumer’s home. This means that the consumer is handcuffed in the event that they might want to refinance later on. Now the consumer has to either try to get the institution that is holding the second lien to agree to subordinate (which can take weeks) to remain in a second position, or the consumer can try to cancel the HELOC and incur additional fees. Either way, the consumer is at their mercy. The strategy behind this is that they want for the consumer to always have to go back to them for their mortgage needs and not take their business elsewhere. Something else they are keeping secret is that when the consumer does try to refinance their home, they now are subject to what’s called a “cash-out refinance” as oppose to a “rate and term refinance.” This cash-out refinance gives the consumer less favorable pricing which translates into a higher interest rate or higher closing costs. 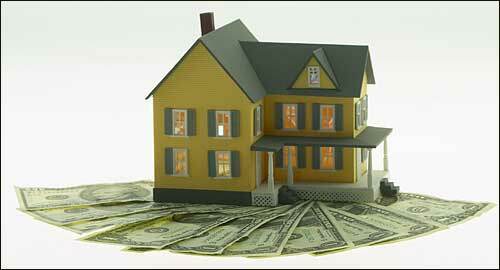 Bottom line, it is never a good idea to have a home equity line of credit if at all possible. In the end, it will cost the consumer one way or another. Posted on June 3, 2013, in Finance and tagged Bonita Springs Loan Officer, Cape Coral Loan Officer, Cash Out Refinance, Estero Loan Officer, Florida Loan Officer, Fort Myers, Fort Myers Loan Officer, HELOC, Home Equity Line of Credit, Loan, Matt Pell, Mortgage, Mortgage Warehouse, Property Guiding, Real Estate Financing, SWFL Real Estate. Bookmark the permalink. 4 Comments. hope you writte again very soon! Using VA home loan calculator is the best way to save a lot of money. your own home, whether you’re in Kansas or Timbuktu. home loans are earning you the profit. I like your website! I will surely come gain again.